Random freezing unable to control the mouse cursor....? Or crashing with a blue screen error code...? There are many reasons for a laptop to freeze and crash which could be either hardware or software related. We will test all the components to eliminate hardware faults then look at the software for problems. 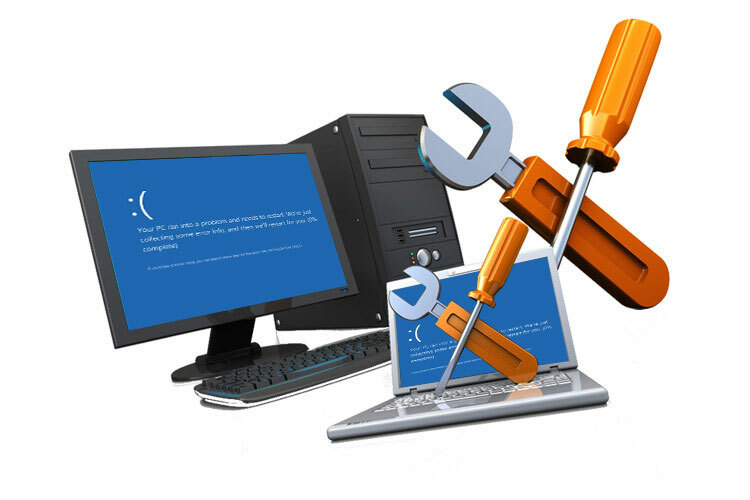 We can diagnose the fault and have you up and running in no time at all, just pop it down to us and we'll provide a *free no obligation quotation, if it’s just a software issue there is a set repair fee so no matter how long it takes the price is the same.